A serious power struggle in the Coast ODM leadership is now threatening to split the party that is slowly losing its popularity in a region where it won two thirds of elective positions in the last general elections. Last Saturday, 10 MPs said that they were ready to abandon Cord and jump into a new ship. Cord has lately seemed to struggle as it moves to consolidate its Coast power base by replacing Gideon Mung’aro as a signal to other rebels what is in store for them. After streamlining events in Coast, the next region to move on is Kisii where party allied MPs have been playing hide and seek games, especially when it comes to by-election. 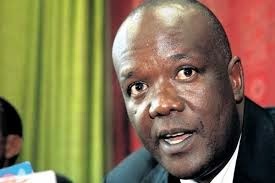 Mistrust and turf wars among Coast leaders are now playing out with a section of ODM politicians in the region adopting a new political strategy in their dealings with the party’s leadership following a major fallout between Mombasa Governor Hassan Joho and a number of party MPs across the region. All is not well in the ODM coast region over Cord’s removal of Gideon Mung’aro as the minority whip in the National Assembly. Some ODM MPs have defied the coalition and are now threatening to take unspecified action should Mung’aro be ultimately removed. Investigations however, reveal that a number of senior politicians from the Coast region had been secretly pushing for Mung’aro’s removal. 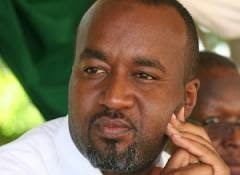 One name that is being mentioned is that of Mombasa Governor Hassan Joho. Joho and Mung’aro have never had a good relationship and even during the last general elections, Mung’aro is said to have campaigned against Joho. He was one of the ODM members who were in Suleiman Shahbal camp. Another coast politician believed to be behind Mung’aro’s political woes is Kwale Governor Amason Kingi. Kingi fell out with Mung’aro after he declared that he will contest against Kingi in 2017. The announcement was not received well by Kingi and his allies. It is against this background that he teamed up with Joho to clip Munga’ro’s political wings ahead of 2017 elections. The Kingi-Joho camp that is now fighting Mung’aro and MPs allied to them is now threatening ODM’s support in Coast region. What is even more worrying to the ODM top leadership is that the rebel MPs are known to be working closely with Jubilee. The anti Kingi-Joho MPs in the forefront are Likoni MP Mashood Mwahima, Rashid Bedzimba, Kisauni, Suleiman Dori of Msambweni, Khatib Mwashetani of Lunga Lunga, Gunga Mwinga of Kaloleni, Hari Kombe of Magarini, Zainab Chidzuga of Kwale and Jones Mlolwa of Voi and Abdulswamad Nassir, Mvita. But what is worrying ODM supporters most is the fallout between Joho and his successor Bezimba. Bezimba was once a great ally of Joho. Changamwe MP Omar Mwinyi and Awiti Bolo are the men doing damage control for Joho and Kingi. We have information that the Joho-Kingi camp is secretly pushing for Wundanyi MP Thomas Mwadeghu to take over from Mung’aro. What is not clear is whether other Coast MPs allied to ODM and who are currently in the middle ground will support Mwadeghu. Investigations reveal that the fallout between Joho and ODM MPs is so big that majority of MPs are planning to quit at the end of their parliamentary term. Over 10 MPs last weekend threatened to quit Cord and form a new party. Those being seen to be in the middle ground but had at one time shown willingness to work with Jubilee include Kwale governor Salim Mvurya, Kwale Senator Boy Juma Boy, Taita Taveta women rep Joyce Lay, Kinango MP Gonzi Rai, Mwashetani, Kilifi women representative Aisha Khamis, Kilifi South MP Mustaffa Iddi, Mwatate MP Andrew Mwadime, Malindi MP Dan Kazungu and Matuga MP Hassan Mwanyoha. With two camps now emerging in Coast region, ODM might be required to go back to the drawing board if it is to retain its numerical strength in the 2017 elections. But Joho and Kingi according to our sources enjoy the backing of top ODM leaders including party leader Raila Odinga. Last week, Cord parliamentary group meeting threatened to crack the whip on dissenters it views as too friendly to the ruling Jubilee coalition and warned them that they risk stern disciplinary action, including losing their seats in parliament. Sources say targeted were a section of Coast MPs fighting the push for a referendum and who have previously declared they would work closely with the Jubilee government. The warnings came barely a week after some ODM MPs from the coast skipped the Iftar (dinner to break the Muslim fast during Ramadhan) organised by Joho, and attended by Raila as well as Moses Wetang’ula, Senator Hassan Omar, Changamwe MP Omar Mwinyi and his Nyali counterpart Hezron Awiti. Sources say Raila was angered after majority of Coast MPs snubbed him. It was during the dinner that Joho asked local politicians known to have a foot in the government and another in Cord to quit and seek a fresh mandate if they think they are strong on the ground. In the entire Coast region, Cord took most National Assembly, Senate, gubernatorial and county assembly seats. It is also important to note that there is not a single elected Jubilee politician in Mombasa county which like, Kwale, Taita Taveta and Kilifi counties, is dominated by the Cord affiliate party ODM. In Kwale, Gonzi Rai, the Kinango MP is the only Jubilee MP among Cord senators, MPs and ward representatives. Jubilee’s only leader in Taita Taveta is Taveta MP Naomi Shaaban of TNA while Tana River has TNA’s Ali Wario in Bura. The fallout in Cord started last month when Ruto visited Kwale and Kilifi counties to preside over meetings before President Uhuru Kenyatta visited Taita Taveta last. Back to the Mung’aro ouster, a Coast parliamentary group meeting to deliberate on the matter ended in disarray after Jubilee allied lawmakers from the region, including national assembly deputy majority leader, Naomi Shaban, joined the gathering and termed the move to sack Mung’aro as dictatorial. 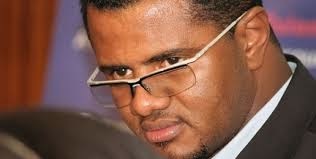 Sources that attended the closed-door meeting said anti-Joho MPs led by Nassir dismissed the Cord decision as “unlawful, biased and discriminatory”.